Need a part for your vintage car? Tractor part has become obsolete? Just can’t find the part for your cherished appliance? Then BuyAnyPart can help you. We are now able to provide you with a high-quality 3D printing service for replacement parts, on demand. If you are in need of a 3D part printing service then either use the online chat, our contact form, or drop us an email [email protected] We’d love to hear from you and discuss how we can help. Machines are an integral part of our everyday life and have been for generations - whether we're talking about the family car, taking us to work or a weekend road trip, or the industrial trucks and other vehicles that do all the heavy lifting, so we don't have to - machines are there for us. Maximizing our productivity, carrying us over long distances, and making our lives a lot easier. In return, these machines require one thing: maintenance. Time and use are the enemy, and even the best-preserved car will need a part replacing at some point. Alas! Not every spare part was born equal: some are notoriously hard, slow or expensive to source whether it is because of a limited original run of the machine in question or the technology used to produce them has become obsolete. But this is where 3D printing comes in! In the past few years, a new force has begun to emerge in the spare parts manufacturing game, a force that’s bound to shake up the status quo regarding machine repairs across industries. Its name? Additive Manufacturing, a.k.a. 3D Printing Spare Parts. With the technology available, an obsolete part is now within reach, as it can be modelled on a computer using CAD (Computer Assisted Design) software. 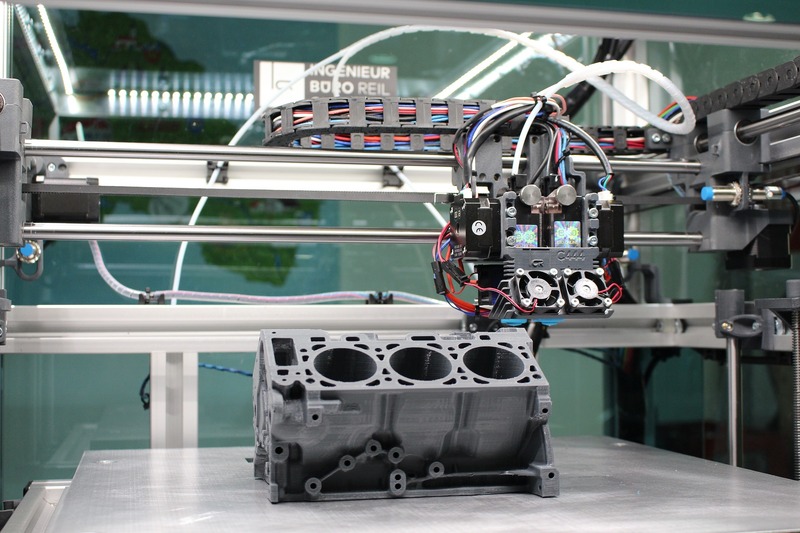 Likewise, worn-out machine parts or prototype machine parts can be scanned with a special 3D scanner. Being able to replicate these parts digitally means they can also be turned back into tangible and fully functional parts using an industrial 3D printer - and as many of them as needed! This process is significantly faster, more cost-effective and flexible than the previous process of machining spare parts. A great example of how 3D printing rare parts is changing the game, is popular American TV host Jay Leno. Proud owner of a 300+ classic car collection, he was one of the first to utilize the (then) brand new 3D printing technology to solve the obsolete spare parts problem. He is still at it, more than a decade later, and has been an advocate for 3D printing hard to find parts ever since. Depending on the material used, these 3D printed machine parts can be used as temporary replacements until a genuine part arrives, permanent replacements or as guides (or test runs) before machining the replacement part. Filaments (the materials used for 3D printing) have been evolving rapidly: durability, flexibility, precision have all seen great innovation. Manufacturers have created highly specialized materials for a multitude of specific purposes. As a result, we’ve been taking leaps forward in terms of durability, strength and precision in 3D printed machine parts. Now we’re offering that same tech, that will provide you, the consumer, with the ability to browse, find, order, and 3D print spare parts that are hard to source, obsolete or seemingly nowhere to be found on the market. You can now find the parts to repair it as easily as you would any other part. Feel free to Contact the BuyAnyPart team with any questions about this service. According to field experts, “The future of spare parts is 3D”. We believe 3D printing is the present - Send us a message to be part of it! The possibilities are virtually endless, and we are excited to explore them with you.